Nuttzo: Support us with edible credits. Hi! We're NuttZo! The only seven nut and seed butter on the market. If you love nut butters, you will LOVE NuttZo. NuttZo is all organic, non-gmo, gluten and soy free. We never add sugar or oils! With NuttZo you get an amazingly healthy, super food that blends super-nutritious nuts and seeds including Almonds, Cashews, Hazelnuts, Brazil Nuts, Peanuts, Sun Flower Seeds, Flax Seeds and Chia Seeds. 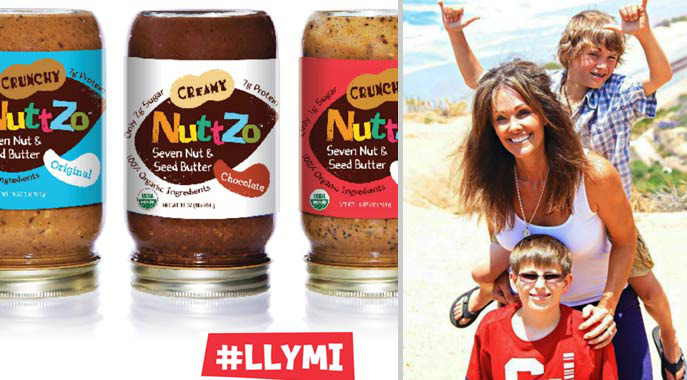 NuttZo was started by San Diego mom, Danielle LiVolsi, 5 years ago after adopting 2 nutrient deficient boys from the Ukraine. The heart and soul of every delicious jar of NuttZo is the non-profit ProjectLeftBehind.com, a project based non-profit that helps small orphanages around the world. Your credibles funding will help us grow our small business so that we can continue to reach more stores and more loyal customers like YOU! We may look like 'just another nut butter company'.. but we are confident that together we will not only change the nut butter industry, but also the lives of thousands of children all over the world. At the register, use the Credibles app on your smartphone to redeem your credits for Nuttzo.